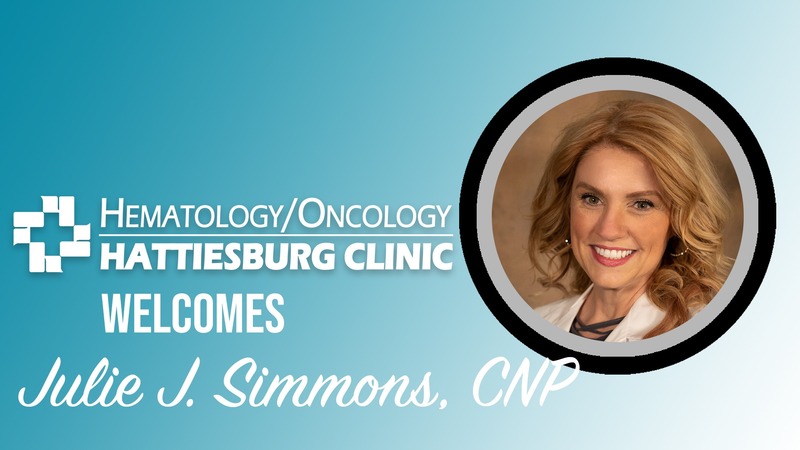 Julie J. Simmons, CNP, recently joined Hattiesburg Clinic Hematology/Oncology. “I like forming positive relationships with patients and their families,” she said. Additional providers at Hematology/Oncology include Laurie E. Douglas, MD; J. Michael Herrington, MD; John S. “Bo” Hrom, MD, FACP; David G. Morris, MD; Louis M. Varner, MD; and Bradley M. Myers, CNP.